We are a creative design studio based in Los Angeles. We create unique visual solutions for our clients through interior and graphic design, and love working with clients everywhere. It all begins with discovery… have you ever felt absolutely amazing in a particular place, the colors, the textures, even the smell have been etched in your memory. We uncover our clients connection to that place and bring those elements into their everyday spaces. Whether you crave cozy cocooning, exotic escapism, or prefer a multi-culti blend of modern bohemian… we discover what moves you and tell your story. We use the same emotion-based ideology to create authentic brand experiences that keep customers coming back. A dynamic mixture of bold shapes, expressive color and a strong graphic sensibility make up the visual language of designer Kim Hayden Holt. Whether designing an interior space, creating graphics to brand an event, or developing beautiful lifestyle products, her passion about getting to the YES, drives the design. 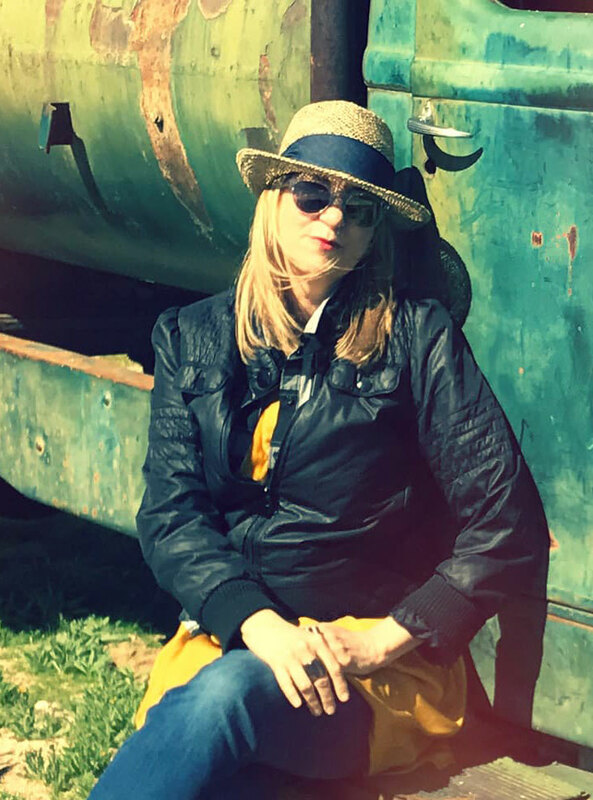 As an Art Director, her graphic design firm, Unleashed Studio, created music packaging and marketing experiences for chart-topping musicians, Dr. Dre, 2Pac, No Doubt, Bush, Jackson Browne, Smash Mouth and many more. Aware that graphic and interior design together pack a powerful punch, Kim embraced her longstanding passion for interior design and integrated the two disciplines. After graduating from UCLA’s renowned Masters of Interior Architecture Program, she worked at internationally chic tastemaker Kelly Wearstler’s studio in many areas of design from textiles to products, Reconnecting to a former client, Kim co-founded lifestyle products brand DGoods – developing the brand from concept to completion. Kim divides her time between the Hollywood Hills and Palm Springs where she passionately practices her ideas for “Designed Living” and continues her never ending quest for the next amazing vintage find!